The security camera is one of the best inventions of technology. With increasing incidents of crime and other anti-social elements flocking the city, CCTV cameras can be of a great help. 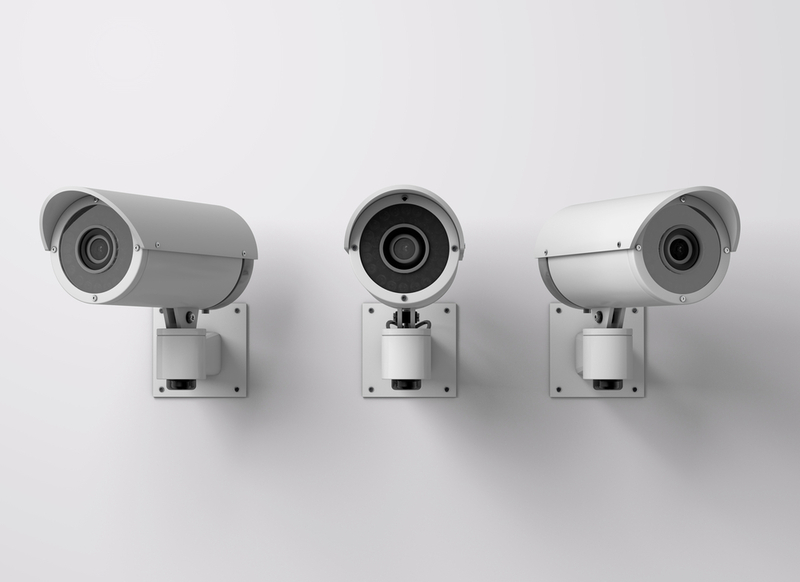 CCTV installation is more common in offices and shops, but recent times have seen a rise in home CCTV installations as well. Despite their popularity, people still seek advice on how to install CCTV cameras. In any case, we always recommend that you avoid a DIY job. While it is possible to set up a security camera system all by yourself but it is quite time-consuming. More importantly, you are likely to make mistakes during a CCTV installation, resulting in poor coverage, unoptimized storage, and insufficient control. Hiring professionals will eliminate these problems and you can be assured that you have the best setup possible for your needs. 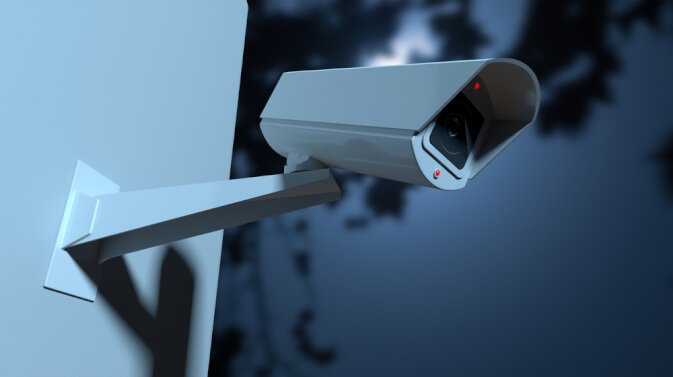 There are still some things that you need to take care of when you hire a professional CCTV installation professional. Here, we have listed some of the basic but crucial things that you need to consider while installing CCTV cameras in your home or office. You will have to determine which areas are most vulnerable and need to be covered. The CCTV installation firm will send an analyst to help figure out the best possible location to mount cameras and get optimal coverage. You can also let the professional know if there is any specific area you need the camera to cover. Wireless CCTV cameras are the most commonly used ones nowadays. They eliminate the need to install wires. Moreover, these cameras can be easily controlled. But not all CCTV cameras are the same. The traditional directional camera, also called a bullet camera, is generally fixed and points only in one direction. On the other hand, dome cameras, commonly seen in malls and corporate offices, provide 360-degree coverage around them. Cameras need to be chosen based on the kind of coverage you need and the type of quality they can provide. This point is related to what we discussed earlier regarding coverage. You should not forget about areas that are potentially vulnerable. This also means using different types of cameras based on their location. The camera that you place outside your garage door will not be the same as an indoor camera. Which brings us to the next point – do not ignore indoor coverage. Thieves and burglars are getting better at avoiding outdoor cameras and even total area coverage can be defeated by masked intruders. What these miscreants do not expect is the indoor camera. Placing a low-light capable dome camera indoors can save you a lot of trouble down the line. The law requires that you let people know that they are being recorded. This is especially important for public areas like a store or office. In both cases, signs stating that there are CCTV cameras installed will serve your purpose. 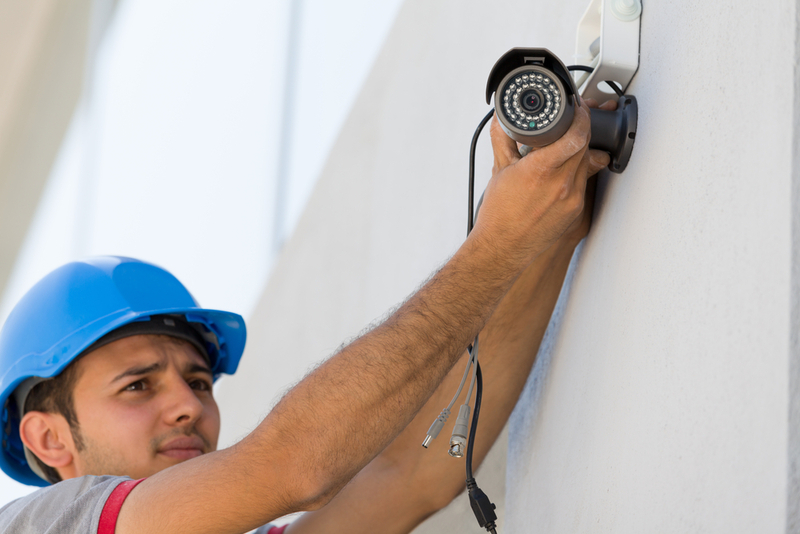 For a home CCTV installation, you must notify any workers who come to your home. If you want to monitor your maid (or visitors outside the door), they must be informed verbally. Another important thing to note is that it is absolutely illegal to install CCTV cameras in private areas like bathrooms. You can go to jail for such an offense. Depending on where you will be doing a CCTV installation, you may need to get official permission from relevant authorities. Even when it is not legally required, it is a form of courtesy. If you are installing CCTV cameras outside your home or shop, chances are that they cover a portion of a neighbor’s home or store. Do let them know and change the angle if they are uncomfortable. Most residential colonies require that you inform the local civic society or body (e.g. RWA) before installation. Home CCTV installation in apartment blocks usually requires permission too. You will need to figure out some technical details about your security system. First, ensure that your cameras can record HD videos. Next, consider the additional equipment you need. Most CCTV installation is accompanied by their recording and storage hardware. Some also offer the option of cloud storage, which means storing the recorded video online. Local storage is done on a hard disk, just like on a computer or laptop. The difference between the hard disk of a camera system and your laptop is that the camera of your hard disk is of higher capacity and capable of running continuously for a much longer period. That said, they also need to be replaced from time to time. Hence, you must also decide the duration for which you want to store any reordered video. You can choose anything from one day to three months or maybe even more if you have the storage capacity. Finally, opt for a system that offers remote control and access. This will let you monitor and control the CCTV camera even when you are traveling. Hopefully, the points discussed here will clarify most of your doubts on how to install a CCTV camera. Top 7 Types of CCTV Cameras To Suit Your Requirements.